Back in January, I determined this would be my Year of the Novel. As you do. 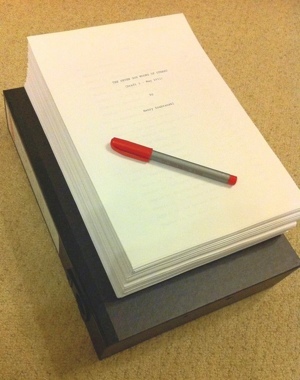 Last year, after four or so years of slow and pain-staking word count accumulation, I finally finished the first draft of Novel 1. Into the drawer it went, to rest its poor weary pages whilst I staggered around in a daze and tried to flush my brain of its multi-year obsession. Six months and a few short stories later, N1 emerged from its boxfile cocoon back into the daylight again — to the same reaction as when I first buried it: love and hate. Not at the same time, mind. Cranking through successively tinkersome revisions, one moment inordinately proud, the next moment convinced I was in some delusional narcissistic state…I could no longer judge. I should no longer judge. Time to let others decide. This year, N1 will slowly nudge its way further out from the boxfile. Who knows how far it will get? I’m fully aware I can’t be too precious about a single work — that way lies madness. Lessons have been learnt, and they must be applied. So…hello, N2. My next obsession.